Average Moms Wear Capes: Nominate a SUPER Mom of the MONTH! 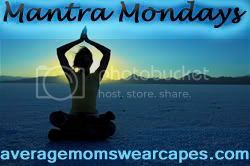 Each month here at Average Moms Wear Capes, I highlight a SuperMOM of the month because we are a big giant team and we have greatness within our team of moms! Of course we don't need the recognition, right? No, of course not! But it is nice, sometimes in't it? If you have a mom in mind, a friend, a blogger, your mom, whoever you want, all you have to do is e-mail me (christieo@averagemomswearcapes.com) to nominate her based on her copious patience during a crisis, for her creativity in handling whatever, for her amazing knowledge and courage, for pulling something totally unbelieveable out of her purse as if the purse itself were a holster, for an awesome project, idea or recipe, for breaking the mold, for her athleticism or ability to multitask, but most of all, for her complete and utter self-lessness. her blog url if she has one. She (and her blog) will be placed up on my left sidebar for the entire month and she will receive a shiny button bestowing the honor upon her. I'll link back to you for your nomination or you can remain anonymous if you wish, it is up to you! Nominations are on a first come first serve basis so if there is more than one nomination in a month, the next one will be highlighted in the following month and so on and so forth so don't worry! No mom left behind! I hope every day is a happy Mother's Day!